In addition to getting a close up look at ADJ’s latest products at booth 719, visitors to the Nightclub & Bar Convention in Las Vegas can see these lights in action on the show’s center stage. Organizers of the nightclub industry’s largest show have selected three ADJ fixtures to deliver pure lighting excitement to the stage on the show’s floor. The ADJ Inno Color Beam LED, Vizi Beam 5R, and FREQ 16 Strobe will be used to create the light show for every event on the center stage. This will give show visitors a firsthand look at the speed, brightness and versatility of these ADJ products. Here’s a quick run-down on the exciting products chosen to light up the stage at the Nightclub & Bar Convention, which takes place March 19 – 21 at the Las Vegas Convention Center. The ADJ Inno Color Beam LED moving head, will add color and excitement to every performance on the main stage. Powered by 36 high-output CREE LEDs in red, green, blue and white, this fixture produces a high-output, hard-edged beam that cuts through washes and other effects to add an extra visual dimension to any light show. 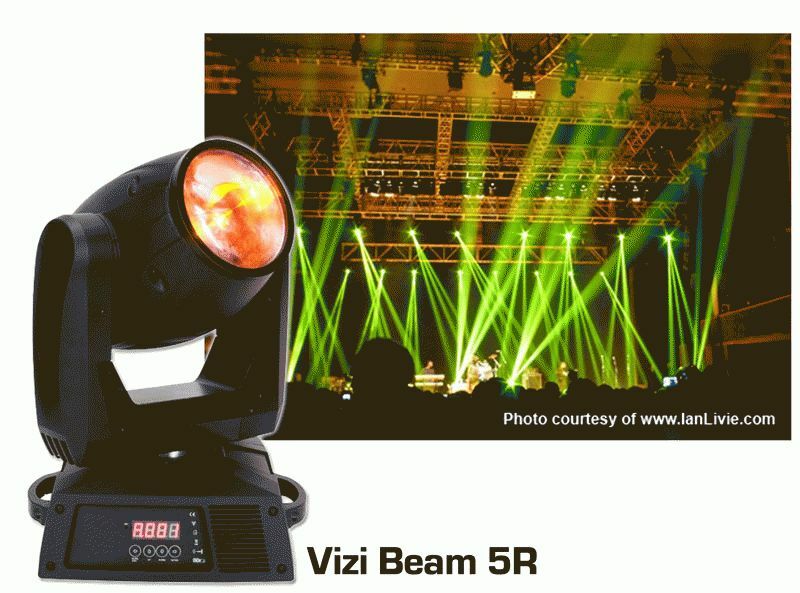 An intensely bright moving head, the ADJ Vizi Beam 5R features an advanced Philips® Platinum 5R discharge lamp. The Vizi Beam is lightweight and compact; its 3-degree beam creates a narrow, even spot field with an intense saturation of color. One of the most amazing lighting products to come from ADJ or anywhere else in a long time, the FREQ 16 is a multi-effect light that provides strobe, chase, and flood lighting effects. The FREQ features a 16-zone white light chase effect that moves to the beat of the music. With 0-100% dimming, this brilliant LED can also be used as a flood to immerse the stage in light.